The forum aimed at bringing together countries, social partners and other civil society organisations to help one another in designing and implementing measures for improving literacy, numeracy and digital skills of adults with low level of knowledge, skills and competences, in line with the Council recommendation on ‘Upskilling pathways: new opportunities for adults’. This was the first in a series of similar events to be organised by Cedefop to complement the Commission's ongoing initiatives in this area. How are strategies for upskilling pathways implemented in each country and adapted to specific contexts? Do the different stakeholders share the same vision and the same priorities? How can these challenges be addressed and overcome? For this first event priority was given to members of the Advisory Committee for Vocational Training (ACVT), the group in charge of the follow up of the upskilling pathways recommendation. The ACVT is composed of representatives of trade unions, employers and governments. The President of the Labour Market Observatory of the EESC Carlos Manuel Trindade opened the forum. 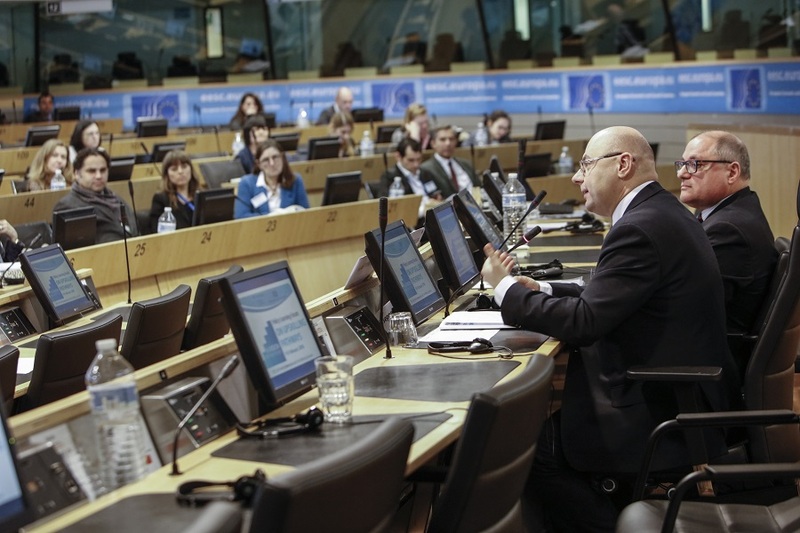 He stressed the importance of upskilling pathways, adding that the EESC is a fitting place to host such an event as it is the ‘home of Social Europe’. Cedefop Head of Department for Learning and Employability Antonio Ranieri also welcomed the participants and addressed the relevance of the upskilling pathways to an inclusive growth agenda. Cedefop experts Lidia Salvatore, Irene Psifidou, Pedro Moreno da Fonseca, Ramona David and Ernesto Villalba-Garcia presented evidence of how the agency’s different projects relate to the upskilling pathways. The PLF highlighted common challenges Member States face in the design and implementation of the upskilling pathways. Participants underlined the importance of creating public-private partnerships and getting all the relevant stakeholders involved in the implementation. They agreed on the significance of coherent policies that cut across different ministries, involving employers, trade unions and civil society working together to address the needs of low-skilled individuals, a heterogeneous target group with diverse needs. Cedefop Director James Calleja and the President of the Section for Employment and Social Affairs of the EESC Pavel Trantina closed the forum. Mr Calleja underlined that careful analysis of learning needs is required to create adequate policies, adding that ‘there are different tools available; what is important is that we use them.’ He concluded with three main points: communicate better what already exists; really commit to improving the situation for low-skilled adults; and ensure continuity through long-term planning and financial resources. Mr Trantina advocated for the creation of a quality charter in the validation of non-formal and informal learning to ensure trust on the upskilling pathways measures. He emphasised the importance of guidance in a lifelong learning context as well as giving incentives to companies and individuals to provide and go through upskilling. Mr Trantina called the event ‘the beginning of a fruitful cooperation with Cedefop’ that will be followed by the first vocational education and training/employment encounters in Portugal.